Not because it’s spring, though that officially starts this week as well. It’s because this week, from March 10 to 16, marks Sunshine Week, which is intended to draw attention to open access to government records. It’s always scheduled to coincide with the week of President James Madison’s birthday, on March 16, because he is the founding father most closely associated with the need for the government to have checks and balances, wrote the Center for Effective Government. As we’ve written before, open government data is valuable because it gives citizens access to the vast troves of data the government collects, enabling better public policy and making it easier for the ordinary citizen to counteract the actions of special-interest groups. Open data also makes it easier for the press to conduct its traditional “fourth branch” role of being a government watchdog. Naturally, attention during the week often focuses on journalism, such as pointing out examples of problems or corruption that were ferreted out with the use of the Freedom of Information Act (FOIA), which gives journalists the data they need for their stories. There are also events on FOIA itself, such as how to use it and what changes are being made to it, both on a federal and on a state level. Increasingly, this government data is online—and journalists would like to expand that as new tools and technologies are developed to help journalists find and produce their stories. In fact, this online data is driving a new kind of journalism—data-driven journalism, writes Alex Howard in TechRepublic. “Computer-assisted reporting has always been used to find data and tell stories,” he writes. “The outcome is still journalism, focused upon explaining the who, what, when, where, how, and why to a reader or watcher. The difference is that the work incorporates statistics and social science and interrogates databases as sources along with humans,” such as by using machine learning, algorithms, and cloud computing to crunch through datasets looking for patterns and connections between documents, contractors, or companies, he continues. “Technology has made the transmission of information easy and inexpensive, and when we demand electronic, online access to public information, we add a new and important method of bringing sunlight to all corners of government,” agrees Emily Shaw, National Policy Manager for the Sunlight Foundation, in a Sunshine Week piece titled, “Put the Public Back in Public Information,” in which she called for more open data in state and local governments. Having public data on a website provides information to journalists more quickly and enables them to download it themselves to their own computers and other devices for analysis, she writes. But open data isn’t just for journalists and citizens. 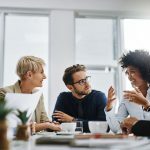 It’s also for businesses, which can make money and provide services with open data, writes Christian Villum on the Open Knowledge Foundation blog. “Open data strengthens the society and builds a shared resource, where all users, citizens and businesses are enriched and empowered, not just the data collectors and publishers,” he writes. Similarly, Sunshine Week organizers are holding a panel on Monday on the issue of how digitizing government data does not always improve its accessibility, because it is stored in a form where it can’t easily be used. “Although often with good intentions, the government sometimes hinders access to valuable public information by posting it online in proprietary and other closed formats (such as PDFs) that make analysis problematic,” describes the panel, which is made up of representatives from organizations such as the Sunlight Foundation, USA Today, ProPublica and the Data Transparency Coalition. The best way for everyone—including journalists—to have access to data is for it to be in a usable form. 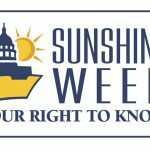 To keep up on other events and news from the week, follow the Twitter handle @sunshineweek. Learn how to improve operational efficiency in the public sector with this whitepaper.